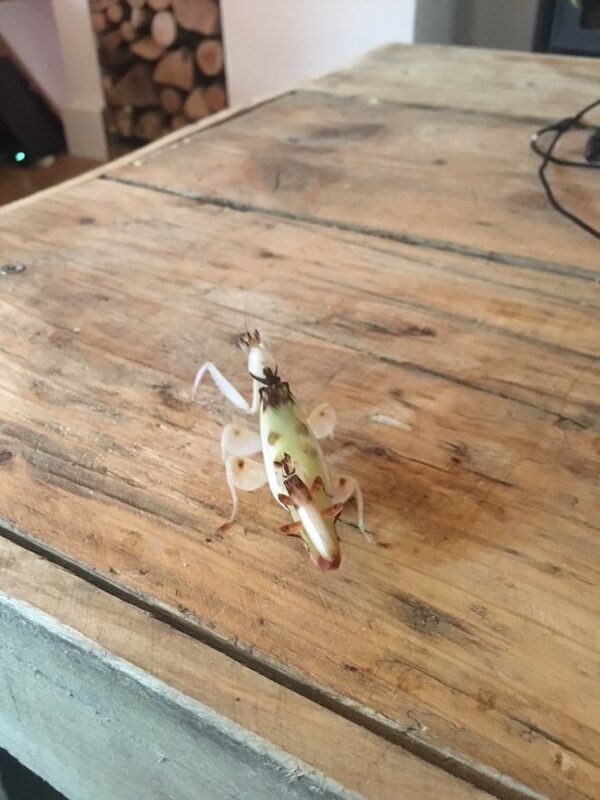 I currently have 4 adult female Orchid mantis (Hymenopus coronatus), of which 2 of them are now 5 and 6 weeks old. I have a male which is now 5 weeks old, so introduced him to the female this week. 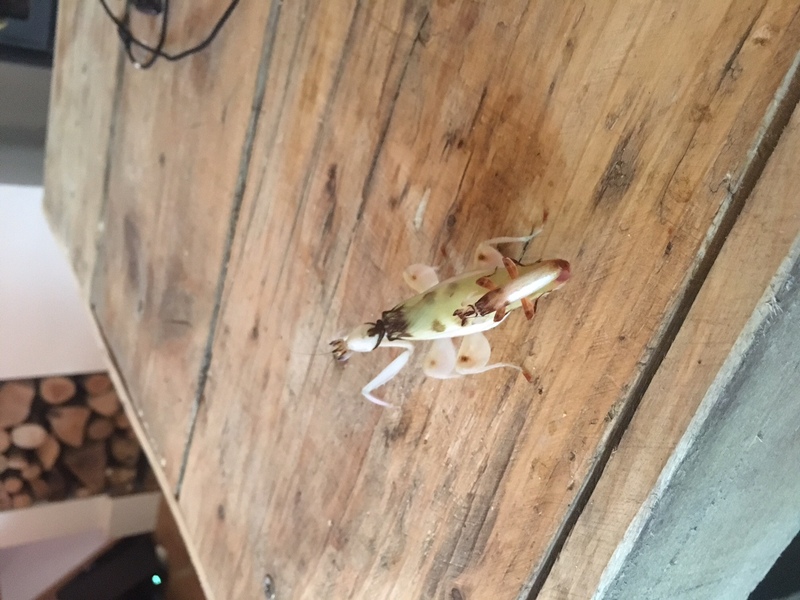 He sat on her back for just under 2 days, before he actually connected, and started mating. It seems the constant drumming paid off. Hopfully within the next few weeks, I’ll get a nice fertile ootheca off her.